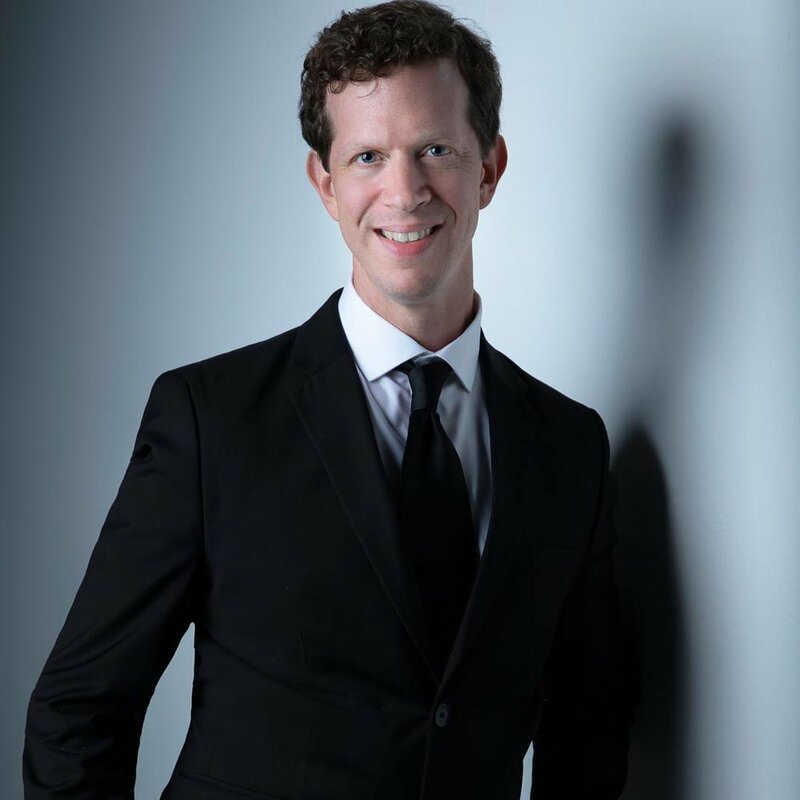 Matthew Steckler, aka Matty Stecks, performs and composes in several musical settings internationally. Since Fall 2017, he is on the faculty in Jazz & Contemporary Popular Music at the renowned Brandon University School of Music in Canada. Primarily a saxophonist/woodwind specialist, he also performs on vocals, keyboards, percussion and electronic media, bringing a dynamic, holistic approach to the live musical experience. As a composer and bandleader, Matthew has been recognized for his seminal work with the projects Dead Cat Bounce and Persiflage, chronicled in Downbeat & Jazz Times, and featured at festivals and major concert series in the United States. Other projects he has led include SWIPE Cartel and Lavender Jones & The Dead Giveaways. Most recently, his New Canadian Quartet is a welcome addition to the greater Winnipeg jazz community. In other collaborative settings, Matthew has most recently been in recording projects led by the Winnipeg Jazz Orchestra, Eric Hangen y La Ruta, Alex Torres Latin Orchestra, News From Planet Kniffen, MC Frontalot and Satyrdagg. He recently has shared the stage with Michael Cain & Sola at the Brandon Jazz Festival, the Winnipeg Jazz Orchestra, and the Brandon Chamber Players. Over the course of his career, Matthew has also performed alongside Lonnie Plaxico, Gary Smulyan, Lee Konitz, Anthony Braxton, Roswell Rudd, George Russell, Gunther Schuller, Curtis Fowlkes, Pheeroan Aklaff, Jon Hendricks, Jay Hoggard, George Lewis, Marty Ehrlich, Tyshawn Sorey, Dan Weiss, Chris Lightcap, Greg Burk, Jim McNeely, Lenny Pickett, Randy Brecker, Joe Lovano, Bob Moses, Greg Hopkins, Gerald Cleaver, Bobby Sanabria, Gary Morgan, Ed Palermo, Club D’Elf, Max Creek and the Jazz Composers Alliance. Matthew has written for concert music, theatre, film and game audio settings, and continues his own foundational work in electroacoustics and multimedia that began with his 2013 research-based, extended work Eco Beat Heresy. His area of research interest is in the burgeoning field of embodied music cognition, to which he contributed the 2013 dissertation The Play Space in Embodied Composition: A Study of Social Process in the Creation of Music for Improvisers. Matthew holds a Ph.D. and M.A. in Composition from New York University, an M.M. in Jazz Performance from New England Conservatory of Music, and a B.A. in Music from Wesleyan University. He studied performance with Jerry Bergonzi, Thomas Chapin, Danilo Perez, Cecil McBee, Nick Brignola, Jay Hoggard and Paul Bley, and composition/theory with Jim McNeely, Anton Vishio, Marc Consoli, Jerica Oblak, Justin Dello Joio, Dinu Ghezzo, Ron Sadoff, Lee Hyla, Anthony Braxton and George Russell. I recently returned back to Brandon from having spent nearly two months back east, performing mostly in Vermont and New York, supporting recent releases from my friends Darryl Kniffen and Eric Hangen, and recording new material with Mowgli Giannitti. In addition, it was good to reconnect with Alex Torres, and word has it their CD, that I helped record just before moving away, should be out by Christmas. Now that I'm back in Manitoba, I'm excited to get started preparing coursework for the incredible students here at Brandon University. I'm also really pumped to attempt writing new music for an expanded version of my new Canadian group, that will be featured as part of a world premiere in the Brandon Chamber Players' concert season, happening Tuesday January 22, 2019. Expect some wacky hybridizations from some things in my listening rotation of late, as well as a new score to the Chaplin short Musical Tramps. "Steckler’s writing has become more distinctive, at times combining the sonorities of a big band with a thoroughly avant-garde scrappiness and willingness to go anywhere and use anything. “Bio Dyno Man” closes with a pile of reeds that sounds like a mix of saxophones and toy horns; “Silent Movie, Russia 1995” evokes the melancholia you’d expect given the title, before dipping into a klezmer melody and later heading into gruff tenor sax overtones... The sextet’s name and song titles like “Food Blogger” betray a sense of humor. But the music’s sense of postmodern storytelling proves that the band’s wit is inspired by greater artistic depth. "There's so much going on rhythmically and melodically in the music of Dead Cat Bounce that influences are called to mind like items on a to-do list. This band of four multi-instrumental reed players, bassist, and drummer from moment to moment generate the pulse of Mingus, the interweaving lines of the World Saxophone Quartet, the stop-on-a-dime timing of the Murray Octet, the swing of the Marsalis septet, and generally perform with the tenacity of any other crisp, self-assured, raucous, and joyful horn-driven ensemble you can think of... When so much jazz settles for nods of the head, DCB goes right for your midsection." "What one remembers most about it are the compulsive, seething grooves and the brawling saxophones... Great Stuff all around: for sheer snaggletoothed excitement Home Speaks to the Wandering is hard to beat." "[Matt Steckler's] whip-smart sextet of four saxes, bass, and drums rolls through his multi-sectioned compositions with toe-tapping ease. Skewed tangos, deviant marches, churchy hymns, and dissonant abstraction, swing band riffs, collective improvisations, and individual solos roll and tumble their way over funky vamps, swinging grooves and unclassifiable beats. Great ensemble playing, high spirits, an endearing, but twisted, sense of fun make Dead Cat's second release a winner." "Happy and groovy solo disc from the [sic] former member of Dead Cat Bounce. Long lines dominate, though Steckler isn't afraid to blow harder and shorter (no pun intended)... he and the band have fun, and it is infectious. Steckler has surrounded himself with great players... Their chops would make anyone feel confident to play in front of them, but Steckler needs no bailing out on any of these tracks. He especially shows he play with the big boys on the free workout 'March Nor'easter'. This is both fun and impressive." "I am sure you will be impressed by the great writing, the originality of style, the wide variety of moods, individual solo efforts and most of all, a real group that is single minded and totally involved in the music." "Steckler's team is tight and well coordinated. Matt leaves a lot of space for the other musicians especially bassist Lonnie Plaxico, notably on "Hitting The Windshield". They push they envelope into free jazz space on the title track and then dance around a cha-cha on "Episodio pa' Osmani". There is a lot of variety as Steckler defines his signature on Persiflage." "Saxophonist Matt Steckler is best known as the leader of the Mingus-goes-punk sextet the Dead Cat Bounce. Persiflage, his solo debut, features a classy New York rhythm section (Michael Cain, Lonnie Plaxico, Pheeroan akLaff) and has a more orthodox sound than the DCB, but Steckler’s passionate delivery and splendidly warped sensibility make this still a pretty heady brew. His tunes often seem to be trying to weave together two grooves simultaneously, achieving a strange combination of forward momentum and self-contradiction: “Unknown Rebel,” for instance, starts as Dolphy arabesques then becomes a blues that never comfortably settles into major or minor, while “Country Rake Fight” has a witty self-consuming opening that blossoms into a monster one-chord jam. Cain’s lucid but slightly offbeat piano solos and the stellar rhythm section work provide an ideal setting for Steckler; trombonist Curtis Fowlkes pops up for a few excellent cameos, too. The results are one of the best small group jazz discs of the past year." "Led by Matt Steckler, these cats are tight and not afraid to spew out some powerful and inventive solos and intricate ensemble playing. Each of the four saxes gets a chance to stretch out on different tunes, but it is often Matt's strong writing and arrangements that stand out.Dead Cat Bounce are amongst Boston's best kept secrets, but hopefully not for very long." 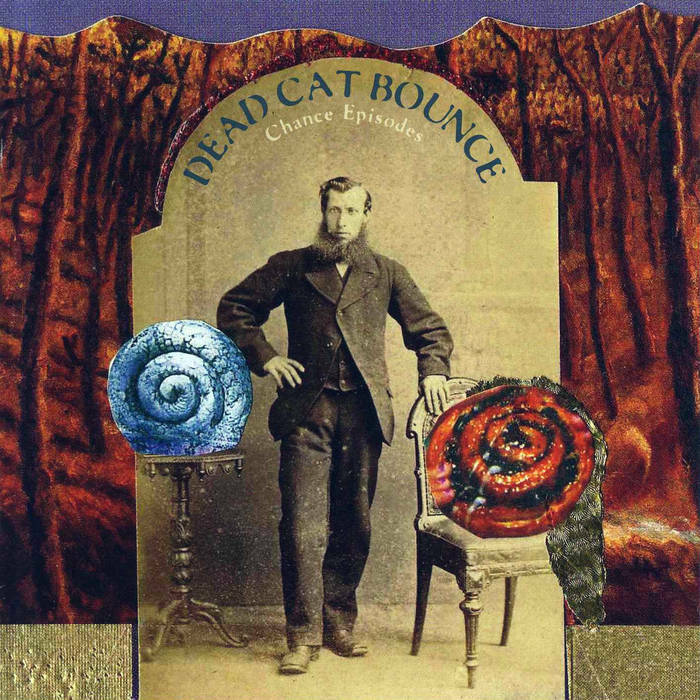 "Dead Cat Bounce epitomize the best of the Boston jazz scene – to make the most of working outside conventional commercial structures, to treat a band as a workshop of ideas, to look forward while drawing on the best of the past. Think of Mingus's swirling counterpoint and rhythm shifts with the similarly rich voicings and solo-ensemble balance of the World Saxophone Quartet. What more could you ask for?" "With Dead Cat Bounce twentysomething Boston saxophonist Matt Steckler livens up the mix: incorporating a sensibility weaned on rock and at least on speaking terms with jam bands, the music easily morphs from straight-ahead jazz rhythms into a cool backbeat, a tango lilt, or a punk-derived pulse… The writing offers enough variety to occasionally make you forget that all the music comes from these same six guys." "Steckler gives Dead Cat Bounce a lively, raucous resonance." "The six-piece group... has become one of Boston's most original jazz units." "DCB revels in a reed-driven sound marked by sharply contrasting forms, textures and tones... strident, joyful, lush and strutting use of a horn section." "Made of fresh ingredients, their music was all abrupt cadences, fast-mutating sonorities and jagged surfaces, but it was polished brightly to an impressive sheen, as the four-saxes-and-rhythm-section sextet just gets better and better. Dead Cat Bounce presented uncompromisingly challenging but often jubilant tunes... Smart, spirited and soulful, the music rocked to exciting effect all night." "Dead Cat Bounce is addictive... this group takes the sax quartet, mixes in bass and drums, and ends up with the unique sound that results when high caliber musicians share a musical vision and a love of innovation. DCB possesses these qualities, which combine to make Legends of the Nar a triumph." "[DCB's] reputation – for knife-sharp technique, and formal and stylistic elasticity – is quickly beginning to precede them. The Cats drop proverbial science with headstrong melodic and structural foundations, Mingus-tinged arrangement sensibilities, and an almost Mancini-like accessibility and playfulness. They conjure solid, straightforward grooves as well as more interstellar regions, while continually presenting tight riffs, and expressing memorable melodies." "Straddling studied experimentation and flat-out irreverence... Home Speaks to the Wandering, with its self-consciously artsy song titles and ambling, pell-mell structures, offers pockets of bristling exuberance bordering on hyperactivity... the uniconventional roster yields hearty results, shining a light on the possibilities inherent in the interplay of tenor, alto, soprano and baritone." "Working some of the outside-the-box terrain favored by bands such as the 29th Street Sax Quartet and the World Sax Quartet... Dead Cat Bounce manages to blend serious composition and improvisation with wit, never an easy trick to pull off." "The solos are almost always exciting. The compositions nicely combine a gritty, bluesy feel with intricate, catchy heads. The final product is fun, good music, probably a lot of fun to shake your hips to. In other words, this is definitely worth a listen, and then several more." "Excellent disque proposé par le label americain Innova, qui propose une large palette de grandes artistes affiliés au jazz et à la musique expérimentale. On vous conseillera d'ailleurs de ce même label le disque de Philip Johnston qui était fabuleux. Aujourd'hui, place à un saxophoniste qui se gave, j'ai nommé Matt Steckler qui nous offre pour ce debut d'année ce très bon « persiflage ». Non, il ne s'agit pas de persiflage de tympans, mais plutot d'un jazz excellent, croisée entre la vieille ecole, les influences afro-cubaines, et un coté free vraiment intéréssant. Une formation en quintet sur une base piano, basse, guitare, trombone. Matt steckler occupe le 5eme role en prenant tour à tour un saxophone ou une flute, insufflant une tonicité aux 10 morceaux exclusivement instrumentaux. Vous rajoutez à cela un excellent artwork, et nous voila doté d'un pur opus de jazz que l'on recommandera aux amateurs, ainsi que tout le catalogue du label innova." "Matt Steckler intones the frivolous and laughable - the distinctly non-uptight - with his compositions on Dead Cat Bounce's Lucky By Association. [He] proves himself a talented composer, and this group shows substantial potential in revealing the best in his material."